CueSpiders "go" wherever backstage communication is needed. 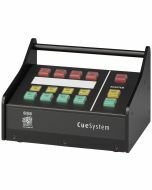 Each CueSpider outstation contains an informational readout screen and a red and a green cue light, which can be activated using preprogrammed cues on a PC or playback unit, or can be directly controlled using the corresponding buttons on a CueSystem Desk. CueSpiders connect via standard power-over-Ethernet networks, so they can be easily placed and rearranged as production needs change. For larger systems, CueSpiders can be daisy-chained to the same control channel. In standard operation, the CueSpider's red light acts as a "standby" cue, switching to green on "go". The two indicators can also be operated as independent cue lights, turning on for "standby" and off for "go". CueSpiders can be easily patched and configured using CueSpider's free PC software. To ensure smooth operations backstage, CueSystem features an "acknowledge" mode that requires performers and operators to confirm the receipt of each standby command before the "go" is issued. 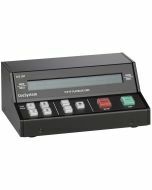 When the stage manager switches a CueSystem channel to "standby", the red indicator lights on both the CueSpider and the Desk will flash until acknowledgement is received. 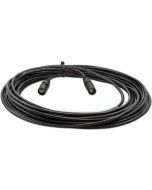 To acknowledge the standby, the CueSpider operator simply presses the flashing indicator, switching both the Desk and the CueSpider lights to solid red and confirming to the stage manager that everything is in place for the "go" cue. Standard Power over Ethernet connectivity, class 4 PoE device.